Yachts are always helpful to illustrate the letter Y, as any author of ABC books for children will tell you. 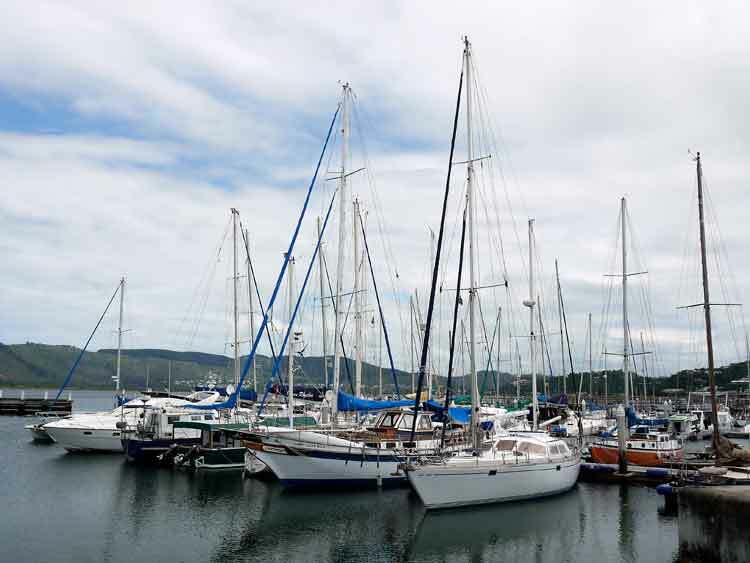 I took this photo of yachts at Knysna Quays Waterfront during a stop off on our Garden Route trip along the south coast of Africa. The town was once quite isolated but is now a popular tourist and retirement resort because of its clement climate. 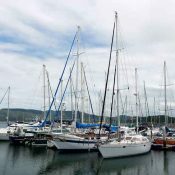 Knysna Yacht Club was founded in 1910 and sailors passing through the Heads have a safe navigable lagoon in which to moor their yachts while visiting Knysna and the surrounding region. My second Y is the Yellowwood, the national tree of South Africa. 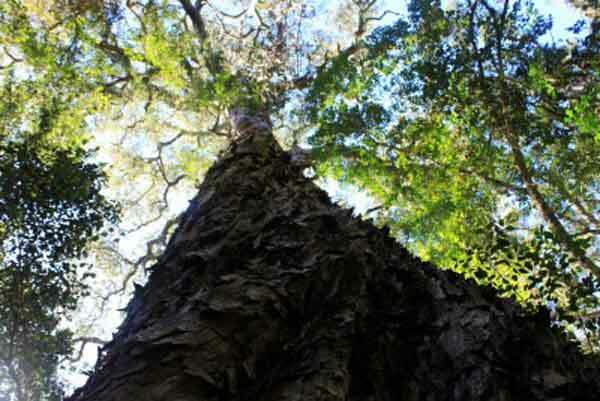 The photo on the right isn’t one of mine, but copyright © 123RF Stock Photos, although it was taken in Knysna Forest. Podocarpus latifolius, to give the yellowwood its Sunday name, is an evergreen and grows up to 100 feet high. They grew abundantly in South Africa but were so valued for their timber that they almost became extinct, and they are now protected. There are male and female trees, the male producing cones that resemble catkins for wind pollination, while the female develops seeds on thickened, fleshy, stalks. We found ourselves up close and personal with the yellowwood during our stay in South Africa, but more about that next week. So what’s next week? Zulu? Zebra? I have a sneaking suspicion you’ll find SOMETHING to complete the mission! Yachts eh? What a good choice! lol! I’m excited for you. There’s no doubt you’ll meet your goal. Never heard the expression “Sunday name” before. We used to call big words “25¢ words.” With inflation I guess we’d now have to up the amount. Yes, I’m nearly there. I didn’t get my own photo of the Yellowwood for reasons that will become obvious next week. I look forward to reading more about South Africa and the Yellowwood. Great shots! Yellowwood is a Wednesday kind of name…..